"Pam, so sorry so see your mom's picture here. She was..."
"I'm so sorry for your loss. 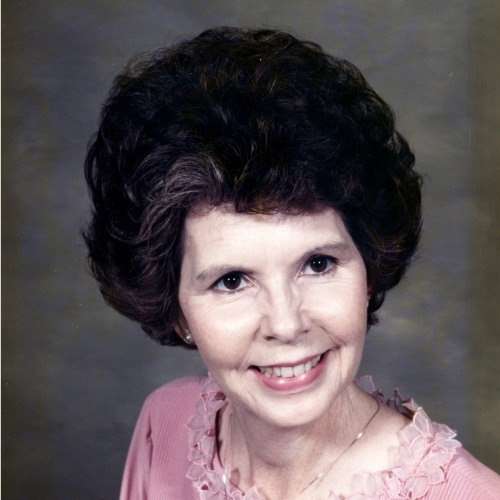 She will be missed dearly...."
Frances Jean McLeod McCaslin passed away on April 7, 2019. Mrs. McCaslin was born to John R. and Mattie Clark Driskill McLeod in Crockett, Texas on February 4, 1941. She grew up in the Liberty Hill Community in Houston County. She attended the Glover Schools and Tyler Commercial College and was an administrative assistant in Tyler, retiring from Carrier. Jean was a kind and loving Christian. She loved her family, church, and friends. She also loved her yard and flowers. She was preceded in death by her parents. Jean is survived by her husband of 53 years, Monroe McCaslin; her daughter and son-in-law, Pam and Hank Morphis; son Malon McCaslin; and her extended family. Mrs. McCaslin's service will be held Saturday, April 13, at Lloyd James Funeral Home in Tyler at 10am. Burial will follow in the Cathedral in the Pines cemetery. Serving as pallbearers will be Chris Morphis, Matt Rinehart, Dave McLeod, Keith McLeod, Todd McLeod, and Wayne McLeod. The family will receive friends on Friday, April 12, from 5:30 to 7:30pm at the funeral home. In lieu of flowers, donations may be made as a memorial to the Barton's Chapel church in Murchison.